Larry Lisiecki! 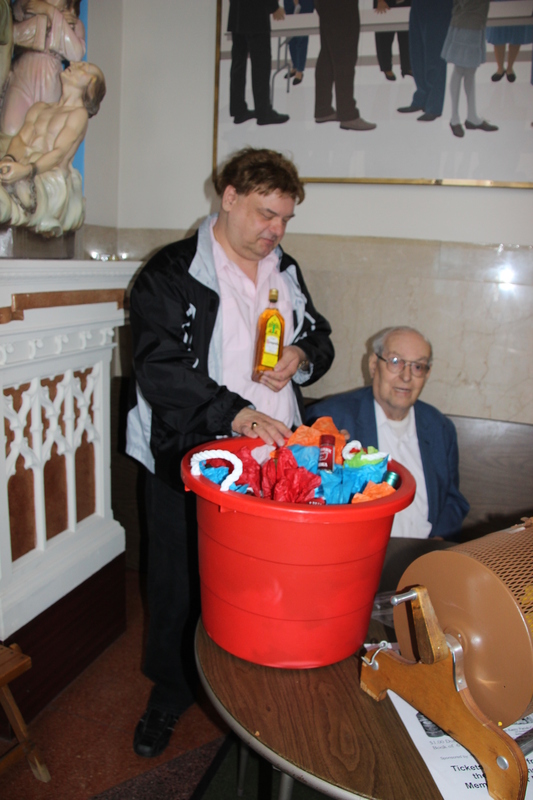 Larry is shown with Holy Name President Bob Makowski. The drawing took place after the 10:30 Mass on Fathers’ Day. Because of honoring our fathers, grandfathers and godfathers, in addition to the drawing for the Basket of Cheer, there was an exciting atmosphere in the air! Thanks to all who supported the Holy Name Society by purchasing tickets for The Basket of Cheer!